In every field and craft, there are practitioners, those who follow the lead of others, and visionaries, those who always seek to push their craft and knowledge to the next horizon. 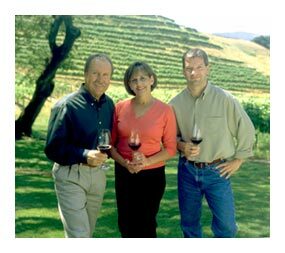 Winemaking is no different, and in this field, Ken Bernards is widely acknowledged to be one of California's visionaries. Since his first harvest in 1986, Ken has remained on the leading edge of winemaking technique in California, using scientific experimentation in the vineyards and in the winery, while at the same time adhering to traditional, small-scale methods, such fermenting in small open-top vessels or oak barrels, utilizing hand punch-downs, and seeking to allow the vineyard's character to speak through the wines. This exemplifies his winemaking philosophy: a delicate and ever-changing balancing act between traditional wisdom, scientific assessment, and artistic insight. Ken worked his first harvest in 1986, while still pursuing his degree in chemistry at Oregon State University, in Corvallis. As a student, he became interested in the flavor chemistry of the small-craft beers and fine wines that were then coming onto the scene in Oregon. He developed and executed a research project that isolated the flavor components of individual hops varieties in experimental beers. At the same time, he began to analyze the chemical components of the fledgling Oregon wines ... and found his life's passion. From the start, Ken demonstrated a tenacity for empirical analysis and scientific methods of questioning. During his first harvest (at Domaine Chandon, in Napa) Ken focused on tracking grape maturity and later published a paper outlining methods for harvest date forecasting. 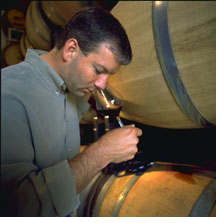 Upon completing his degree, Ken accepted a position with Domaine Chandon as a research enologist, or experimental winemaker. He was able to design and perform his own experiments in every area of viticulture and enology. During these years, Ken honed his scientific reasoning, learning to isolate cause and effect in the vineyard, in the winery, and, ultimately, in the glass. Ultimately, though, Ken's passion called for more than just experimentation. True, he had come to value the importance of being scientific about decisions in the vineyard and in the winery. However, a visit to Burgundy spoke to his artistic side, awaking a desire to make his own finished wines full of mystery and nuance, wines that express the individuality of each vineyard. In 1992, Ken made his first five barrels of Ancien Carneros Pinot Noir, marking the beginning an ongoing quest for great Pinot Noirs. He was able to further pursue his desire to work on a smaller scale, hand-crafting single-vineyard wines as the winemaker for Truchard Vineyards from 1993-1997. From 1998 on, Ken has been living his dream daily, making his own wines under the Ancien label. At Ancien he works exclusively with Pinot Noir, Chardonnay, and Pinot Gris. Ancien has developed into a quest of sorts, a quest to make Pinot Noir from a wide range of vineyard sites, learning to work with the site in a way that expresses the vineyard as fully as possible. Although his winery is located in Napa, this quest has taken him from the Santa Rita Hills to the Willamette Valley--and even as far away as Morey-St-Denis, in Burgundy, France. Ken is the only winemaker to import grapes whole from France and then vinify them in California. The insatiable curiosity that first lead Ken to begin his quest to make great wines continues to lead him to seek out new and challenging opportunities, beyond those presented in his own winery. 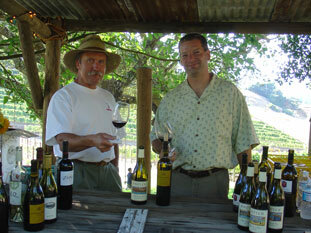 His devotion to discovering the character of each specific vineyard site aided him as he became a pioneer in the Coomsville area in the southeast corner of the greater Napa Valley AVA, where he was among the first of the current generation to realize the great potential of this cool pocket and the unique blend of soils covering the hilly terrain. (Earlier, this region had been noted and worked on by the likes of Andre Tchelistcheff himself.) He continues to be involved with winemaking, winery design, and vineyard planning in regions as diverse as Oregon, California, North Carolina, and Chile. All part of his ongoing quest to discover more and more about the science and art of making timeless and expressive wines.